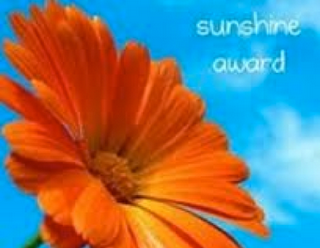 What a great way to bring in the first day of summer with a Sunshine Award! Joan from the fabulous blog Chocolate, Chocolate and More passed her sunshine on to me. I am more than humbled over here at Deelicious Sweets. Foodies are truly the nicest people, evah! 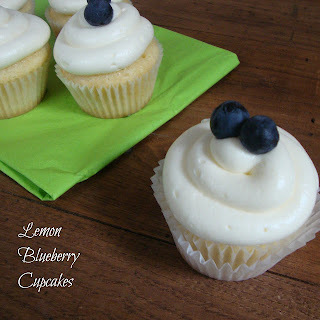 Do her Lemon Blueberry Cupcakes entice you? What about her To. Die. For. 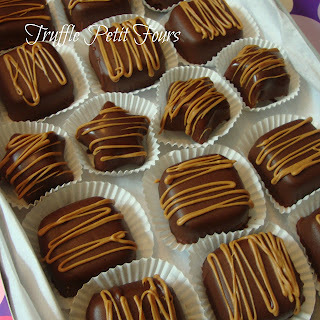 Truffle Petit Fours? This is only a sample of what she has going on over there! Seriously good stuff, people. Favorite Color - I'm always drawn toward the blues. Especially turquoise and navy. Favorite Animal - If we are talking domesticated animal I would have to pick the cat. We have two and they sometimes read my blog and they would be super pissed if I said my favorite animal is a dog (which it's not). I love my kitties (hi Gigi and Snowflake!) and this just got a little weird. My favorite wild animal would have to be the bear. They're kind of cool. Favorite Number - 6 My birthday is December 6 and growing up everyone had a favorite number so I just went ahead and picked that one since it had a "value" so to say. Favorite Drink - This is an odd question. I would have to say daily basis wise, water. I know, booooring! But when you're really thirsty there is nothing better than a tall glass of cold water. After working in the yard on a hot day - a good wheat beer. Hanging with my husband and select friends- red wine. Lake house - anything goes! Facebook or Twitter - Facebook. But, I have my Facebook connected to my Twitter. Or...is it the other way around? Twitter hooked up to Facebook. Either way, I'm partial to Facebook. Although, with the new changes Facebook has made I'm beginning to learn toward Twitter for my fan base. Good Book or Good Movie - I'm a nerd so I will always pick the book. I'm especially partial to fantasy (nerd). That being said, I enjoy a good movie but only at home. Every time I go to the theater the stinky person sits right beside me. They haven't showered for days, brushed their teeth and they are usually gassy - from both ends. My Passion - Oh God, I'm like a fart in a whirlwind. One day it could be yoga, the next day spinning. I could give up working out for a few months and repaint my entire house, bake up a storm, cook meal after meal, eat out for dinner every night, make jewelry, make soap, go shopping. Don't make me pick just one! Giving or Getting Presents - I like both. Who doesn't like getting presents? Well, I guess it depends on who is giving them to you and what it is they are giving you. We all have that relative that gives us hangers - there's a story to that. Giving presents is just as awesome. Favorite Day of the Year - Hmm, never really thought of this. Let's pick 10 bloggers who more than deserve this award! Whew, that was uber hard just picking 10. Thank you, Joan for passing this little bit of light on to me! You made my day! Please go and check out Chocolate, Chocolate and More if you haven't already and check out these fabulous blogs that I have passed the award on to. Make sure you tell them all I said, Hi! Congratulations Dee! You definitely deserve it because you always make me smile when I come here! Loved learning a little more about you. Have a great week! Dee, I love that your cats read the blog, my dog could care a less, and yet I'll go out and stand in the rain with her so she can take 10 minutes to pee! Don't blame you for never going out to the movies although they probably choose to sit near you because you smell like fresh baked cookies or maybe petunias. Hugs my friend, off to visit those you selected! Hurray!! Thanks for the award! I'm sorry I haven't been able to stop by and see what you've been cooking a lot lately! I may be delayed in getting a responding award out too, but it will come. Thanks again Dee! You're welcome! No worries, I understand completely! Congratulations and thank you so much!! That's really kind of you. Thanks for the introduction to Joan. Congrats on your award. I had no idea you are from St Louis as well. Have I met you at one of the blogger functions? Thanks for stopping by my blog. I will be back again. I have never been to the blogger functions so I'm pretty sure we didn't meet there ;) Nice to meet a fellow St. Louis Blogger! Hope you have a great weekend. I love you BBFF. More than chocolate. Thank you.